When my husband died, I had many a conversation with friends and family members about the grieving process. The term “grieving process” was one most people seemed to understand, and I thought I had at least a sense of it, myself. I’d had a fair amount of time to get used to the idea that Howard was dying as he made his pilgrimage through cancer treatment. I expected to be heartbroken but also a bit relieved when he died and I expected to be my old self, whatever that was, fairly quickly after his death. I was right about being both heartbroken and relieved when he died. I was wrong about being some version of my old self quickly after his death. I wasn’t even sure what my old self was when he died. My “self” had been on its own pilgrimage for a dozen years or more. I’d transformed and transformed again. I was familiar with transformation and more comfortable with it than most of the people around me seemed to be. My friend Cindy Morris, a gifted astrologer, explained this by saying, “Well of course! You were born with Pluto in your eighth house.” My own take on it was that I’d experienced enough transformation to know there was little use in fighting it. Ride it as if riding a surfboard on a mammoth wave, that was my attitude. 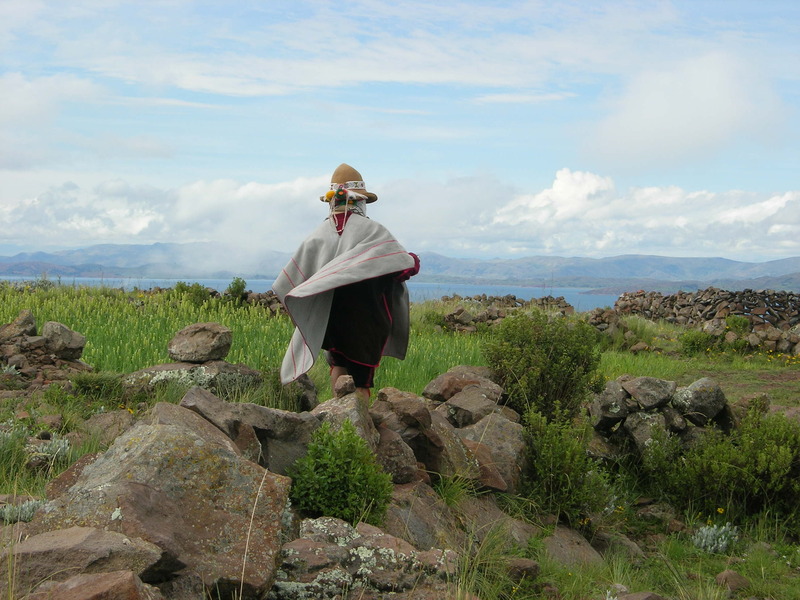 But in February of 2010, I’d gone to Lake Titicaca in Peru to join with other shamans and many pilgrims in the reactivation of the Solar Disc. That experience had changed me profoundly. Many years earlier, during my shamanic apprenticeship, I experienced a change right down to the level of the DNA. That was profound. When I came back from Peru, though, I felt like someone who had reincarnated into the same body. I looked like the same person I’d been, but I wasn’t. During the remainder of 2010, something in me opened further as I accompanied Howard on his slow march to death. After his death, when I could sort myself out from that part of his energy field still hovering about me, I realized that one of the blessings of having been with my husband as he was dying was that it further softened me, further opened me to what it meant to be human. 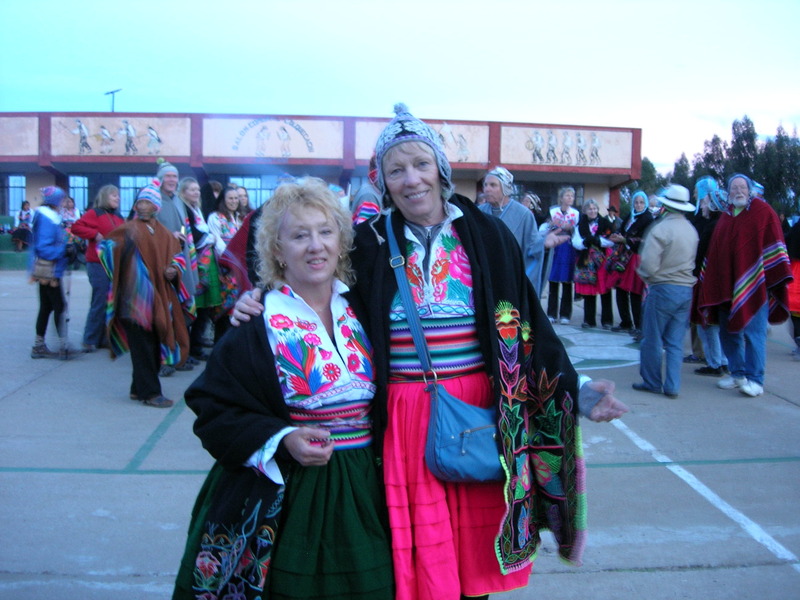 One side effect of the transformation triggered in Peru was that I was better suited to accompany my husband on that march as it quickened its pace, and one side effect of having done so was that many of the barnacles and unidentifiable encrustations of life had been worn away. What was left of me was someone I actually wanted to know. But that person I had become was grieving and it became very clear to me very quickly that grieving was not a process—at least not a process as most of us have come to think of the term. It was neither rational nor linear. It had an almost unidentifiable beginning, but a beginning sometime before Howard’s actual death. It could not be flow charted, Gantt charted, or PERT diagramed. There was no chain of events as predictable as Kubler-Ross suggested in her theory on dying and death. No, grieving was far more organic than that. It seemed to flow according to the laws of nature, as opposed to following models structured by man. In everyday terms, that meant, among other things, that I could not predict what would take the wind right out of me, nor could I predict when that would happen. I also couldn’t predict which days would be inexplicably sorrowful any more than I could predict which days would be filled with pure joy, just because I was alive. I couldn’t predict whether I would want to see others or be alone, nor could I predict who I might want to see. Much of the time, though, I did want to be alone. What I felt most of the time when I wanted to be alone was not unhappiness, but something more like curiosity about the very air around me and interest in my own internal landscape. Grieving, it seemed, was filled with surprises—some of them pure astonishment and others numbly shocking. And it was as organic as fertile earth. “How do you feel?” Jorge Luis Delgado asked me as we sat together on the bus that would take us back to the hotel. It had been a long day. The Solar Disc Activation ceremonies were over. We had made our good-byes to our host families, boarded our boats, spent the next three or four hours in happy chatter as we sailed back to shore, and made a memorable stop at one of the floating islands. Now we were headed back to the hotel for dinner and celebration. It was all I could say, really. There weren’t words for how I felt, which seemed almost ridiculous for a woman who is a professional writer and editor. But there it was. No words. Only delicious peace and internal glow. “Do you know why that is?” he asked. “When we work with our hearts open, we do not get so fatigued,” he replied. I knew he was right. His words washed over me and settled into my bones as truth. I thought about the shamanic work I did with clients. I often did journey work with clients on Friday evenings, after having gotten up at 3:30 or 4:00 a.m. We wouldn’t finish until 9:00 or 10:00 p.m. sometimes, yet I would come away from the work high as a kite. I’d always found it curious, but I’d never tried to explain it to myself, other than assuming it was the result of doing the work and seeing its impact on the client. But he was right. I was not only fully present with my client during the work on such nights, my heart was always wide open. The same was true for the shamanic clearing work on houses and the spiritual coaching. As I reflected on his words, I saw that it was also true with the writing coaching, editing, and other work I did. When my heart was open, the work didn’t deplete me. Yes, body and mind needed some rest at the end of a long day, but it was more like adding juice to a battery that still had plenty of charge to it than trying to recharge a dead battery. I recalled my days in corporate America. I’d held management positions that required ten to twelve hour days, demanded broad expertise, and provided endless helpings of stress. I was good at what I did and I always strived to serve the greater good. But it depleted me and I was never at my best when overwhelmed by stress. I’ve no doubt that more than one person who reported to me in those days would be able to attest to my being a pretty demanding boss. When I left the corporate world, I realized—not immediately, but after a time—that no amount of money and no promotion would have provided what I sought and staying in that world would likely have eventually killed me. It had never been an environment in which I could work with an open heart, at least not for long. In fact, the more open my heart had become in that world, the more problematic that world was for me and the more problematic I was for whomever I reported to. One of the most telling experiences I had in the corporate world happened months before I left the last company I would work at for any length of time. It was 7:00 p.m. or so. Everyone had left but the President, the Vice-President of Client Services, and me. The V-P of Client Services and I were sitting in the lobby, talking through some issue. The President came out and joined in the discussion. At some point, one of them presented a scenario and asked me what I would think about it if it was offered up. My heart bypassing my brain, I told the truth, instead of what was politically correct. “I guess I’d ask what love would have me do next,” I replied. The President? He looked from one to the other of us and said nothing. But the look on his face said it all. We were nuts as far as he was concerned. I might as well have suggested that we consult the tarot or pull in an astrologer or even call up Warren Buffet for advice. My spontaneous comment was way too heart-centered. I couldn’t be trusted. Of course, he already suspected that of me. I was gone after a time and my colleague was gone a while later. We weren’t calculating enough and we couldn’t be trusted to sacrifice people—including ourselves—for the sake of his agenda. We were toast. Sitting next to Jorge Luis Delgado on a bus driving from Puno, Peru to our hotel in Chucuito, I realized that I wouldn’t have changed anything in my life. Everything had led me to a life and a body of work that allowed and even required an open heart. In that moment, sitting next to Jorge Luis, I was in a state of grace and no words were needed between us. We sat in peaceful silence. The sun had set . . . but it was still shining within. We streamed down the hillside from both temples in a continuous flow of pilgrims, like a moving rivulet of energy, love surging and pulsing toward its destiny—the joining of the divine masculine and divine feminine. At the meeting place, the pilgrims from the Pachamama and Pachatata temples merged into one large group of joyful beings who had each reactivated their Inner Sun. We were all shy smiles and unabashed glee. It would have been paradoxical at any other place or at any other time, but it made complete sense in this place, at this time. Most of us were uncertain about what would happen next and what did happen next left some of us humbled and surprised. 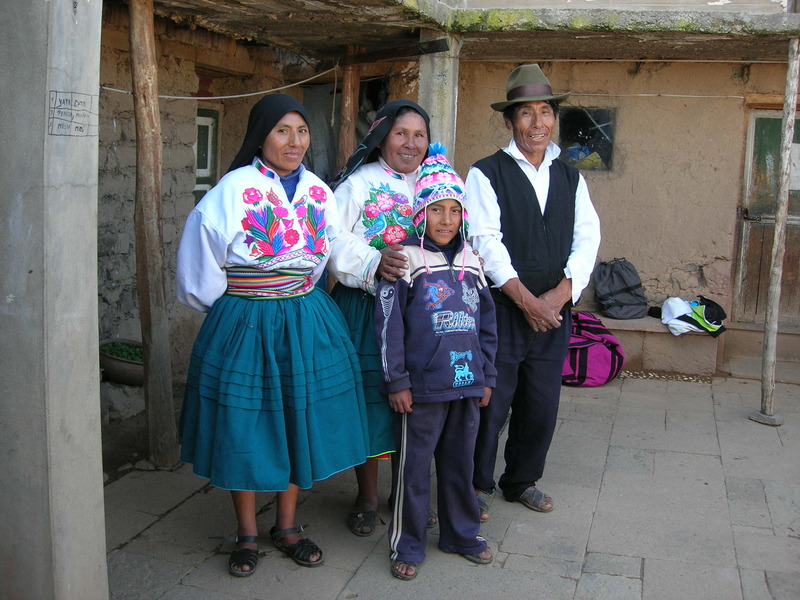 We were joined at the meeting site by our Amantani Island host families. They arrived burdened with large packs on their backs containing pots of food, dishes, and eating utensils. They had trudged up the trail with our lunch. Just hiking up the trail was exertion for many of the pilgrims; these natives hiked up the trail with the equivalent of a restaurant meal on their backs. And they weren’t even out of breath. We each found our host family and surrendered to being treated like visiting royalty instead of the simple pilgrims we were. Perhaps they knew what we were feeling inside but could not articulate—that what we had just done had not only awakened something within ourselves, but had caused a stirring within and across the planet that could not be denied and would not be ignored. It had been our valentine to Mother Earth and Father Sun. Lunch was followed by performance. 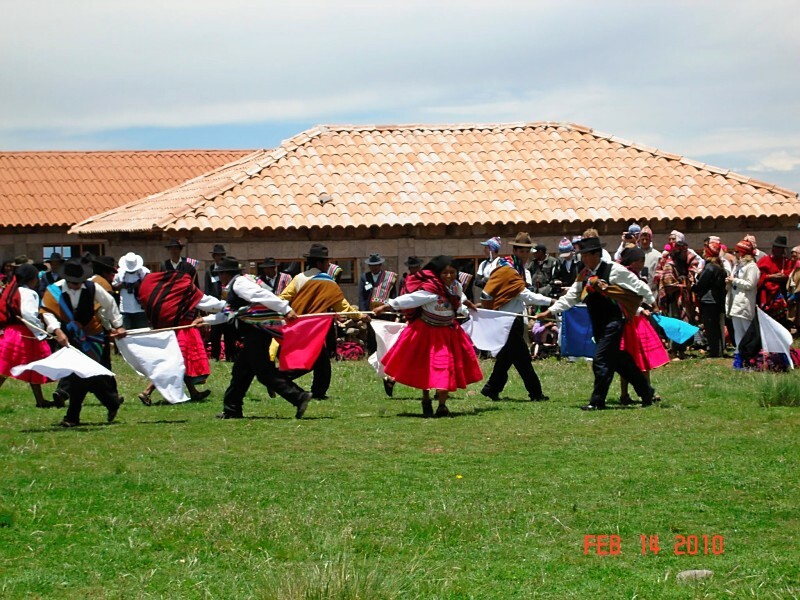 It appeared that our host families not only had the stamina to bring pots, pans, dishes, cutlery, and food up the hill, they could follow that up with dancing. The host families grouped themselves according to village and the men and women from each village danced together. I had drifted to the back of the crowd, but matriarch Sebastiani found me and dragged me to the front. She wanted me to have a good view of the performance and over the past twenty-four hours, I had come to understand that she embodied both drill sergeant and goddess of compassion. It did not even occur to me to fight her wishes. There was a hint of competition to the dancing, as if each village was intent on showing up the others. But it was all contained within a composite sense of joy. When the performance was over, Jorge Luis came over to me and, with no lead-in and no explanation, told me what was going to happen next and what he wanted me to do. It seemed he wanted my participation during a part of the ceremony to symbolically join the divine masculine and the divine feminine. He was clearly in the thick of orchestrating the final details before the ceremony. He gave me my instructions and was gone. It all happened so quickly, I had no time to question anything he was saying. I just registered it and waited for the ceremony to begin. Jorge, representing the divine feminine, was dressed in white. A woman, representing the divine masculine, was also dressed in white. They met in the center of the circle, joined hands, and in that moment, became the Divine Feminine and the Divine Masculine. 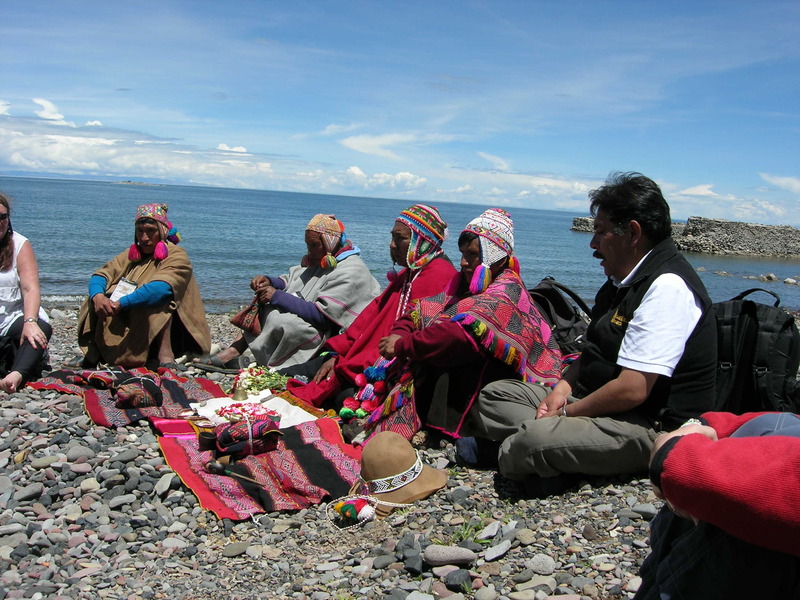 One of the Peruvian shamans came forward to begin a small circle around the two. Then another Peruvian shaman came forward to take his place. Then another. It registered in me that this was what Jorge Luis had been instructing me on. I was to be one of those coming forward to create that circle around the Divine Couple. Well . . . was that what he had instructed me to do? Surely he hadn’t meant me to join the Peruvian elders. Had he? Not me. Was that what he had meant? There are moments in which my shortcomings and frailties as a human being crystallize and become very, very clear to me. This was one of those moments. Every doubt in me surfaced. My sense of unworthiness erupted. My ego was jerking me around like an electrical current making a loose wire dance. Some part of me knew that I was to step forward and join the circle of shamans; another part of me was certain that I would make a fool of myself if I did. My heart was full and its contents spilled out, everywhere, covering everyone. 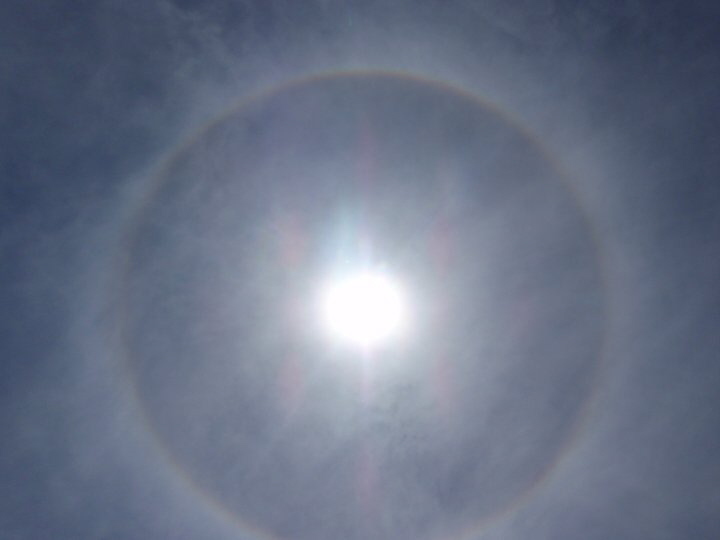 I had never seen anything like it before: a rainbow completely circled the sun. The rain had stopped and the sun was out. Pilgrims were gathering at the Pachamama temple site for the Solar Disc activation ceremony and the very air was charged with love. And now a rainbow circled the sun. Many of us risked cornea damage by staring at it with mouths gaped open. Scientists can provide a logical, practical explanation for what we were witnessing, but we knew what it meant: Pachamama and Pachatata were sanctioning our activities, showing their approval, and joining us for the ceremony. Jorge Luis Delgado told us that the Father wanted to be present and had sent us a rainbow. He added that like all rainbows, it meant that something very special was happening, or would happen, at the cosmic level. But words could not really capture the meaning for most of us. The meaning resided in our hearts, with the Inner Sun. It was a cosmic sign to validate our activities. What we were doing was meaningful and real. What we were doing would have positive impact on planet Earth and her people. And I realized, as I took a deep breath and looked around me, that I was not just at the top of a hill on an island in Lake Titicaca, I was in a church—a grand church made of earth and stones and sweet air. I was in the presence of something numinous. I surrendered to the altered state of consciousness that was sweeping over me. We gathered together in a rough circle and Jorge Luis spoke to us about the significance of what we were doing. According to legend, the Solar Disc had been brought from Lemuria to the Incas by Aramu Muru (Lord Muru) and Amara Mara (the feminine aspect of Lord Muru). 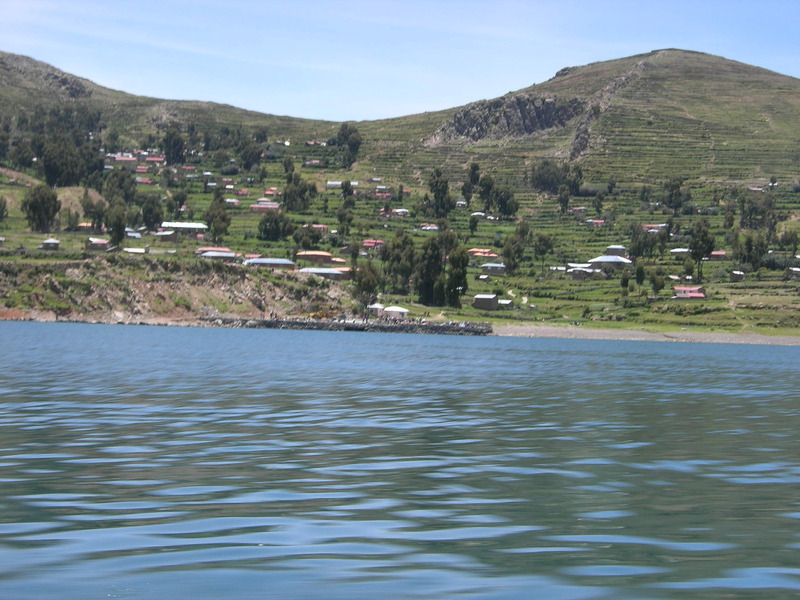 To protect it from the invading Spaniards, it was brought to Lake Titicaca, where it had resided ever since. Jorge Luis reminded us that when the new pachacuti starts, the Solar Disc begins to be reactivated. How? By activating the Inner Sun. We begin to expand love consciousness and by doing so, we begin to reactivate the Solar Disc. The Solar Disc helps us release resistance to this expansion. As Children of the Sun—the cosmic kiss between the Divine Mother and Divine Father—we are, actually, already there. But in this life, we are almost there. Jorge Luis joked that this is why we are always asking if we are almost there when we travel and pointed out that even when we arrive at our destinations, we are still . . . almost there. He went on to say that 2012 would be the time when we begin to awaken, to remember who we are. The Sun will rise and everyone will begin to awaken. Some will awaken early, some late, and . . . some will need a cup of coffee to awaken, he joked. But we will all awaken. We understood that what we were doing would help to activate that process. And we would continue to help activate it through munay, llankay, and yachtay. Jorge Luis led us in a chant, the men in the group chanting Pachamama (the feminine aspect) and the women chanting Wiracocha (the masculine aspect). Then he opened up the ceremony to other speakers. Among them, a woman spoke in tongues with power and grace. Then she went around the circle, offering healing to every single person in it. And throughout all of this, the rainbow held around the sun. 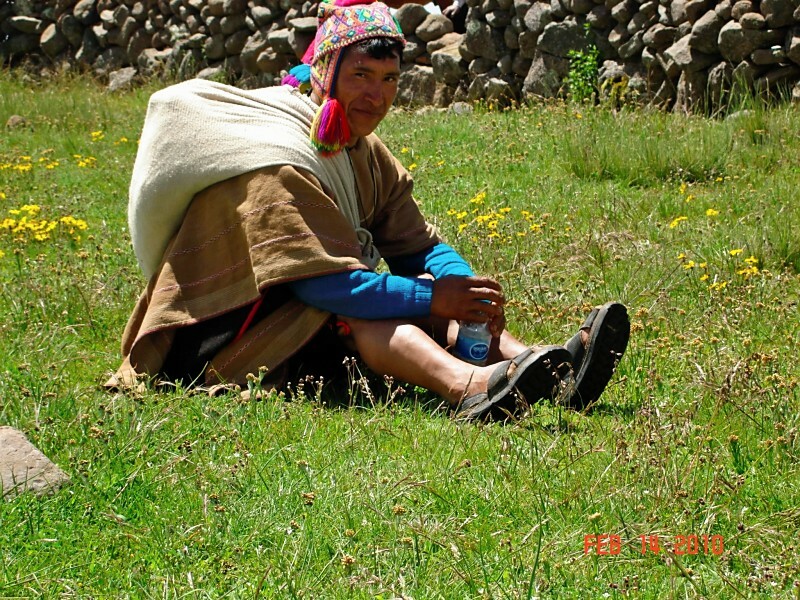 In Inca time, the local shaman who was keeper of the temple arrived. He was a wizened elder who brought a younger man with him. The younger man—so stunningly beautiful that virtually every woman in the group was taken aback—seemed to be the elder’s apprentice. The elder opened the temple and we filed in, creating a spiral of pilgrims around the center of the temple, where the elder set up an altar with a despacho and led the ceremony. As with the other ceremonies in which we had participated, we were each given a k’intu of coca leaves. At the end of the ceremony, we each added our coca leaves—and, with them, everything we wished to release—to a bonfire that the elder and his helpers started. And the rainbow continued to hold around the sun. Once the ceremony was over, we filed out of the temple. There was beauty in every face I saw—a softness that echoed the Inner Sun we had just activated, along with activating the Solar Disc that was somewhere in the lake. This was, indeed, the new pachacuti, the time for returning to the essence, to the Inner Sun. The time for remembering that we are all Children of the Sun. We took our time leaving the site, but the ceremonies were not yet over. Where the paths leading to the Pachamama and Pachatata temples meet, we would gather for the marriage of the divine masculine and divine feminine. Julian seemed agitated and I felt less than his idea of a worthy assignment. Water ceremony on Amatani Island was complete. We had lunched on the beach and now it was time for us to go the homes of our host families. Jorge Luis Delgado had a list of who was assigned to which family. I had been introduced to Julian, the patriarch of my host family, but he did not seem pleased with the assignment. I watched as others trudged off, hiking up the surrounding hills to their host families’ homes. 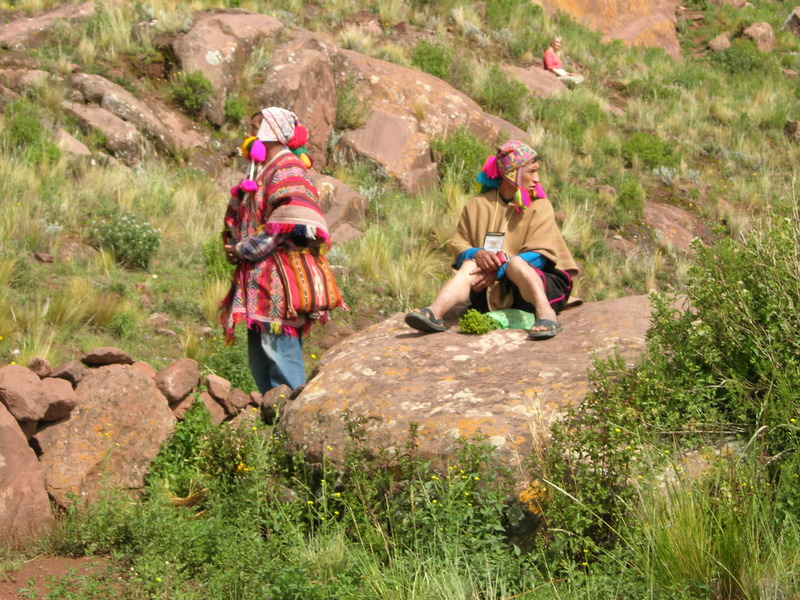 But I stood there while Julian talked in Quechua to the organizers. He wasn’t ready to go. Either he wanted more than just me to spend the night at his home or he wanted someone other than me. Or so I guessed, judging from his behavior. He finally gave up, grabbed my pack, and we headed up the hills. I did my best to keep up with him. He looked very much like a middle aged man but his legs were the legs of a mountain goat. And while my lungs struggled with the brisk hike, not only at altitude but at a challenging grade, his breathing was relaxed and free. I worked up a sweat and he appeared to be having a casual stroll. Fortunately, Julian stopped periodically to let me catch my breath. 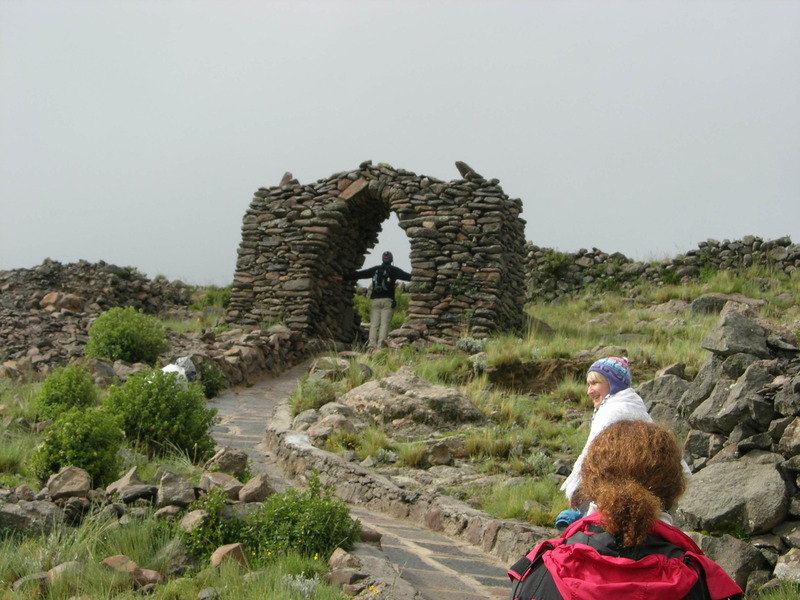 Amantani Island is free of vehicles and I found myself weighing the relative merits of the exercise provided by a life that required walking up and down hills at an altitude somewhere between 12,500 and 13,000 feet against my cardio workouts and weight lifting at the gym. Julian was in far superior shape and even if I’d had my breath, I would not have wanted to arm wrestle the wiry gentleman. Once we arrived at his family home, it became apparent that I was not the only guest. Two fellow travelers, Sandy and Tim, were already there, having been led on a slightly different route by the matriarch, Sebastiana. 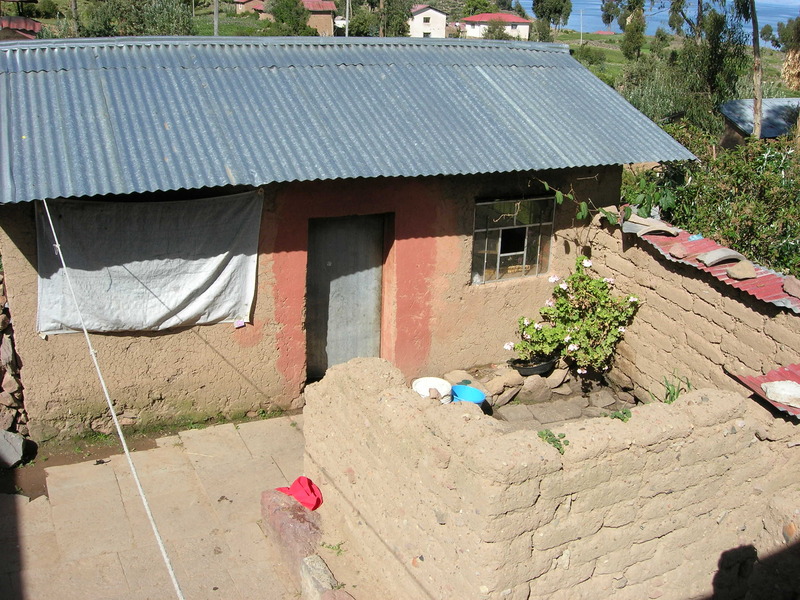 Also living in the small compound were Paulo, a grown daughter, and her son, Juan Carlos. I was shown to my room, which consisted of three beds, one small nightstand, and a mirror. It was on the second floor, reached by some rather steep stairs. Since I was the only one staying in the room, I had my pick of beds. 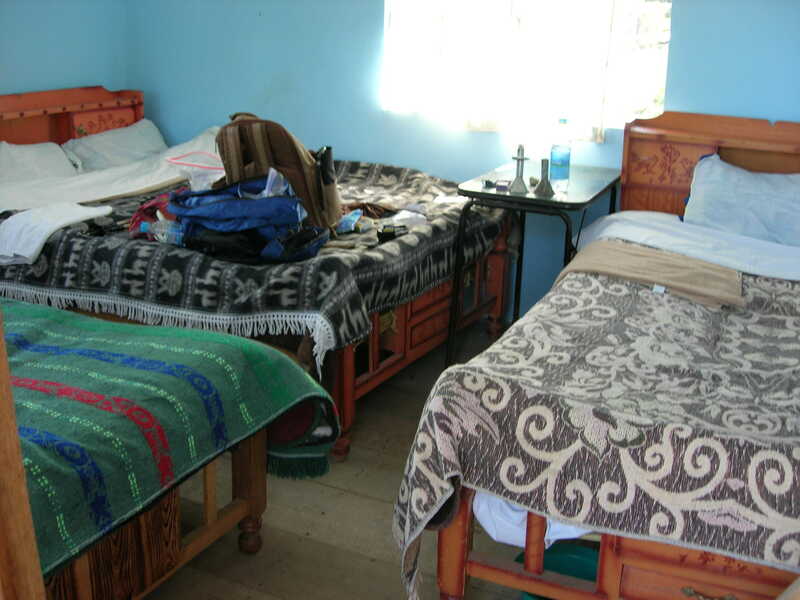 The beds were covered in beautiful, simple textiles and my guess was that the mattress was stuffed with reeds or other natural materials. Sandy and Tim had the room next to mine, but there was one or more additional rooms at this level. It was apparent that this family could house a fair number of people and I later learned that all those rooms accommodated Julian’s and Sebastiani’s other children and their families when they visited. The home consisted of an L-shaped structure on two stories with a separate small structure that was used for cooking and dining. Nearby was an outhouse. The structures were made of adobe, with tin roofs. A low adobe wall helped to further shelter the compound. 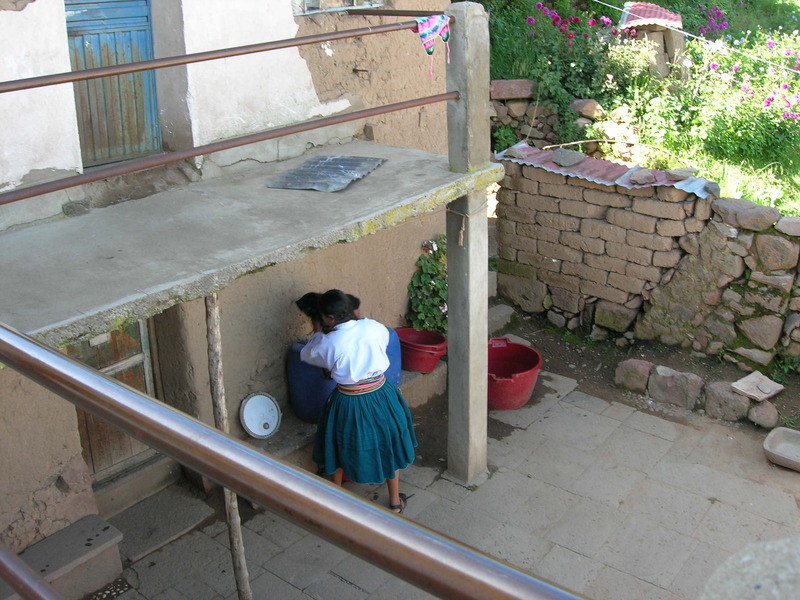 A courtyard contained a water barrel with a stand and pan that appeared to be used for bathing. We got ourselves settled, looked at (and bought from among) some textiles and other items offered for sale by the family, took photos, and otherwise settled in. I presented some gifts I’d brought for the family. Sandy and Tim had also brought gifts, among them some colored pens, paper, and a coloring book suitable for a child and Juan Carlos was delighted to have them. Sandy and Tim’s room had a single lightbulb overhead—a luxury on an island mostly devoid of electricity—and Juan Carlos spent time with us, coloring and drawing with his new tools while we lounged and chatted. My own room had a small candle and no electricity, but I had something that trumped their light: a rudimentary chamber pot (basically a plastic bowl stuck under the bed). Their electricity, powered by solar, would give out early in the evening. My chamber pot would serve me all night and into the early morning if I needed it. I liked my accommodations. I was pleased to be sharing the host family with Sandy and Tim. They were a part of the Denver contingency on this trip and staying with the same family would give me a chance to get to know them a bit better. I’d already found them to be good traveling companions, but I hadn’t yet figured out what was behind that twinkle in the eye I’d seen with each of them. It didn’t take me long to figure out that it came from being present, aware, and engaged—qualities I’m a sucker for. The day was far from over. We would be making our way down the hill to a gathering place for Earth ceremony. I’d read about the Amantani Island practice of dressing up the visitors in local garb and dancing the night away with them. I was looking forward to the former and wanted to avoid the latter, if possible. The next day was important. It was Solar Disc activation day—Valentine’s Day, 2010. I wanted to be rested and ready for it. Besides, even though I was in good physical shape, I couldn’t quite wrap my brain around dancing at this altitude. We were called to the kitchen hut for a meal of simple, hearty, and wonderfully tasty soup. Then we made our way back down the hill for our rendezvous. I couldn’t fathom finding my way back on my own, particularly in the dark, and was happy that I had my little flashlight and that Sandy and Tim had hats with headlamps on them. I was also feeling a bit like Blanche DuBois—counting on the kindness of strangers—to get back safely. I was in the right place for that because the people of Amantani Island (apart from that curious exchange with Julian) were welcoming and sweet. Electricity and plumbing or not, these were people with whom I wanted to spend time . . . but not necessarily time spent dancing. the pier to board a boat for Amantani Island. 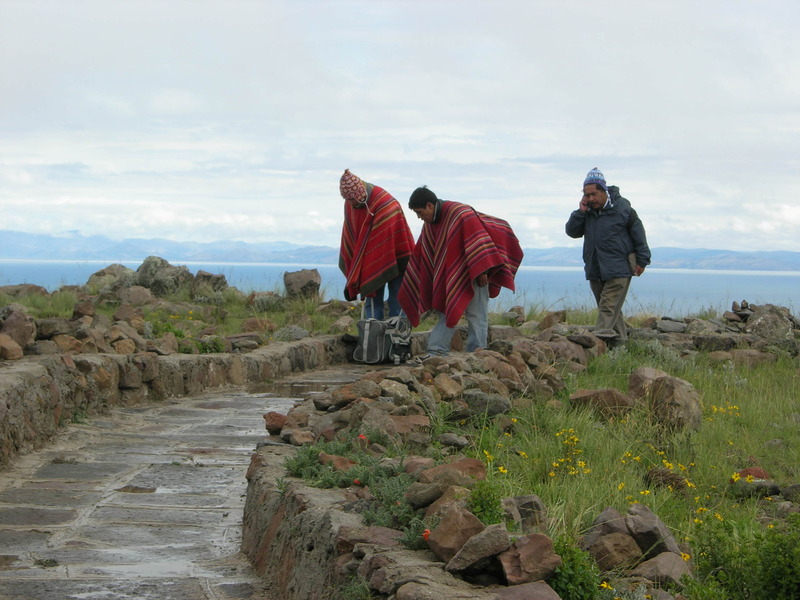 Amantani Island is an island of less than six square miles on the Peruvian side of Lake Titicaca. 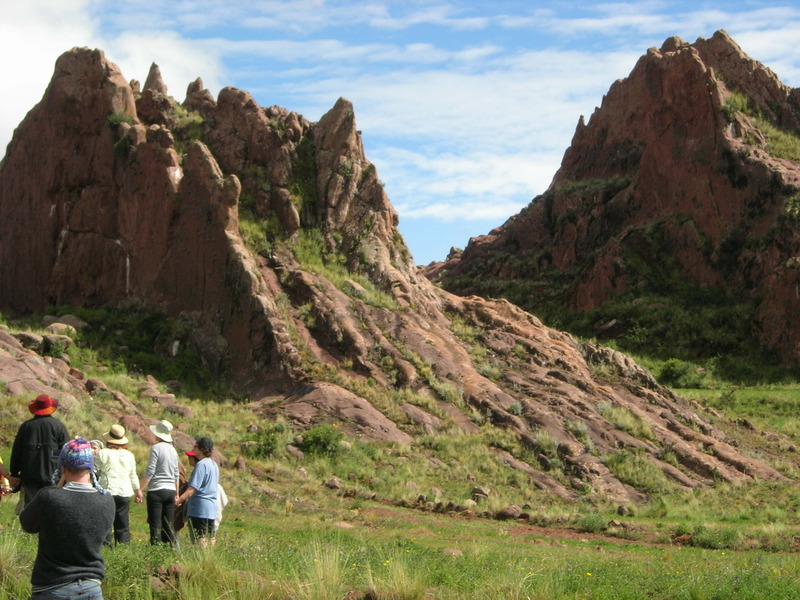 It is inhabited by less than 4000 Aymara people who speak Quechua and, some of them, a little Spanish. No English speakers here. There are half a dozen villages on its terraced hills and we were all going to be assigned to families to stay with for the night. 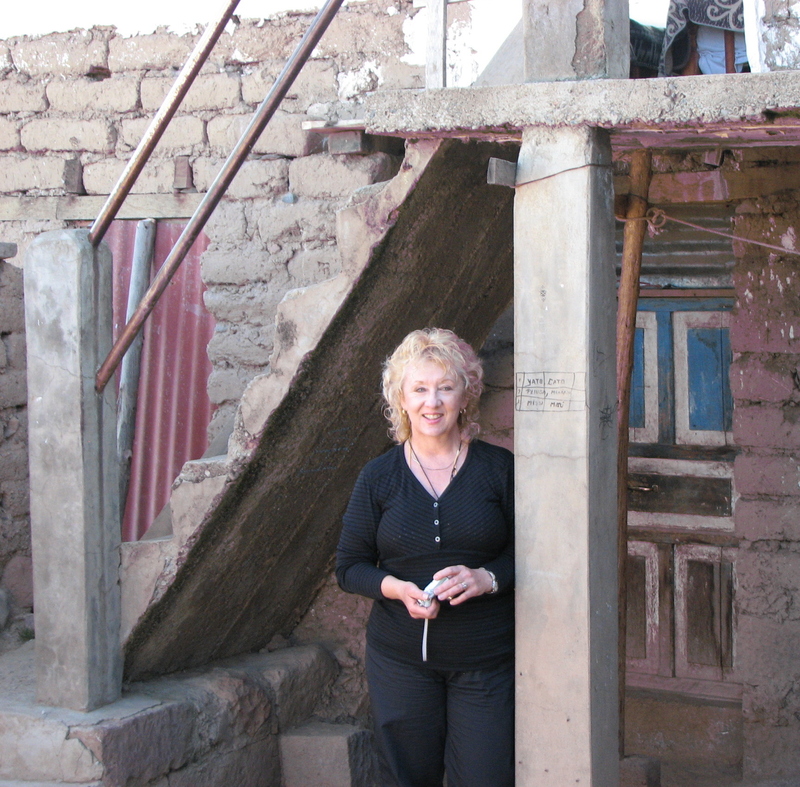 We were told that the homes were simple adobe structures with no running water and little or no electricity. We would have beds and access to an outhouse. Our host families would feed us and we would have a little time to interact with them. The Solar Disc Activation ceremony would take place on the island, at two temples situated at its highest points. These temples, the Pachatata (Father) and Pachamama (Mother Earth) temples, were ancient places, each cared for by a guardian who kept them under lock and key, usually only opened for a ceremony each January 20, the annual feast day for the island. That they would be opened for the Solar Disc Activation ceremony was an usual and very special honor. Our bus ride to the pier was long enough for me to observe and even chat with (through a translator) some of the Peruvian shamans who were participating in the ceremonies. To my surprise, I discovered that Q’ero shamans—or some of them—have cell phones these days. One of the men reached below his poncho and pulled out a cell phone to take a call as we bumped along on the road. I couldn’t quite reconcile the simplicity of these shamans with the complexity of having a cell phone. Where did he get it? Could he actually get a signal in the mountains where he lived? Was it even his phone, or one borrowed for the trip? I didn’t ask any of these questions, I just observed in stunned silence. A shaman from one of the floating reed islands, Romualdo Coila Coila, sat next to me on the drive. Romualdo handed me a business card that presented him as a Maestro Curandero. 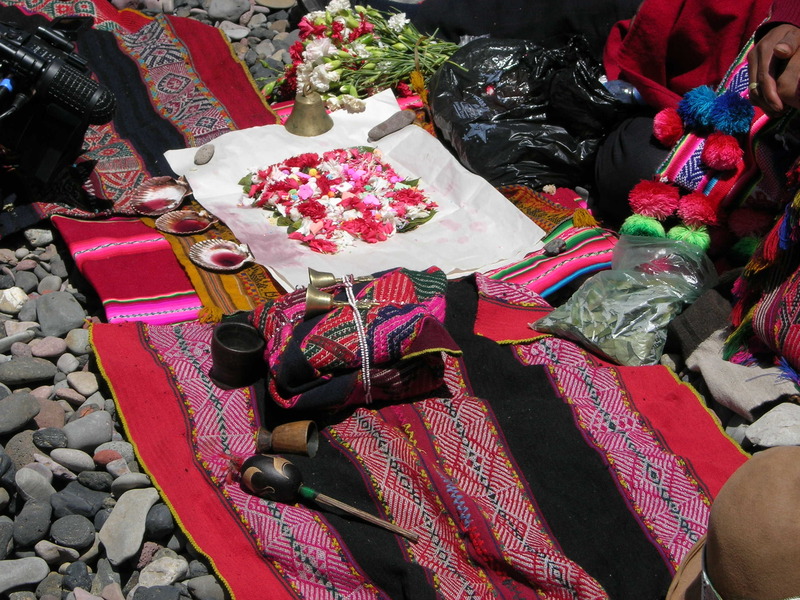 Nestor Caceres Escalante (a fellow traveler and a man of interest, himself) told me that Romualdo did ceremony to Pachamama, soul retrieval, coca leaf ceremony, and a variety of other shamanic activities. When I told Romualdo that I, too, do soul retrieval and a variety of other shamanic activities, he smiled and shook my hand. With Nestor’s help as translator, we chatted briefly about our work. Don Romualdo carried himself with a certain nobility and held a tightly packed internal power that could be felt as I sat next to him. He was a rugged looking man whose eyes and being emanated compassion. And as I talked to him, I felt pulled to gift him with something I’d brought along that was stuffed in my pack—a round piece of malachite with a small hole in the middle that held a cord so it could be worn around the neck. I couldn’t reach get to it while on the bus, but I asked Nestor to tell him I had something for him that I would present later. At the pier, we piled onto multiple boats for the rather long ride to Amantani Island. We all seemed to still be buzzing internally from our experiences at the Aramu Muru Doorway and that buzz was coupled with anticipation about the island and the ceremonies to come. Once on Amantani Island, I was able to retrieve the malachite necklace and as we walked toward the place where we would be doing ceremony, I stopped long enough to present it to Romualdo, who accepted it simply and with dignity. Later, I would see him pull it out from beneath his robe and show it to someone. It made me smile and I was glad to have been drawn to give him that token, small acknowledgment that it was. We gathered on a beach and Romualdo, accompanied by some of the Q’ero shamans, set about preparing his mesa for a despacho ceremony. 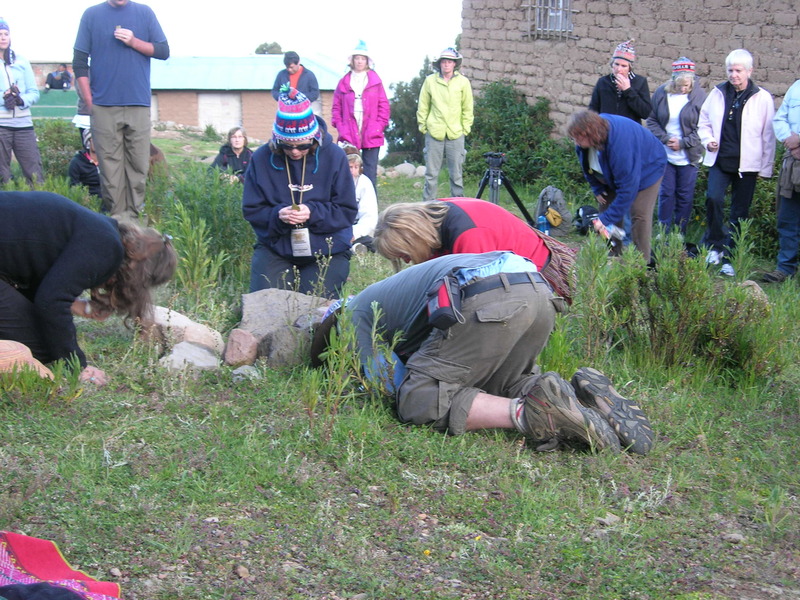 This was to be a water ceremony and we would be making offerings to Lake Titicaca as a part of that ceremony. As Romulado set out his power objects, Jorge Luis Delgado spoke to us of water and spirit. He pointed out that water is alive and that whatever is alive can be communicated with. He said that water holds memory, listens, teaches, and shows us the way. “But what is the way?” he asked. “Just flow,” he said, answering his own question. 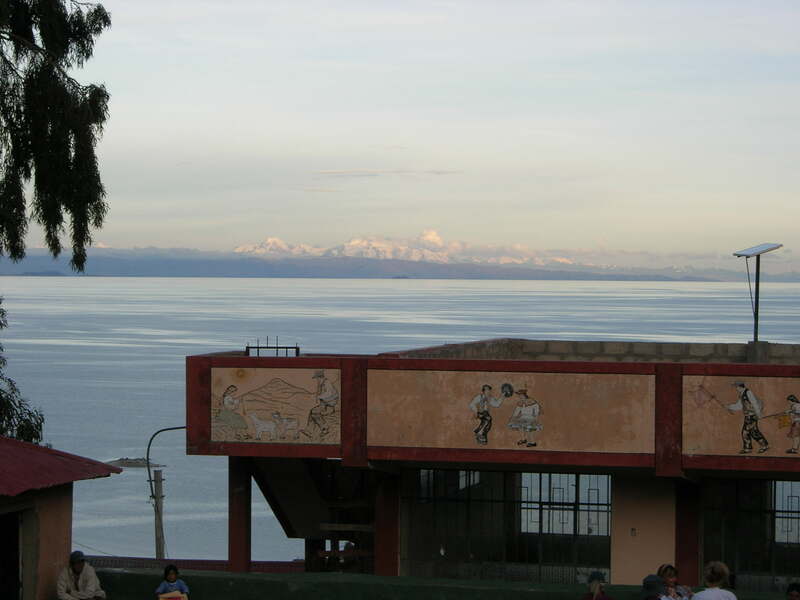 If water represents the emotional body, then allowing ourselves to flow might be wise advice from Lake Titicaca. Jorge Luis made the provocative statement that the emotional body sometimes “covers the new codes.” The implication seemed to be that allowing ourselves to flow—as water does, effortlessly—might help us wash away resistance and release those new codes, or at least allow them to express themselves within us. “How do we connect with our own spirit?” Jorge asked. The real magic, he insisted, was our intent. As with other despacho ceremonies, we would be placing our intent into the coca leaves by breathing the intent into them. 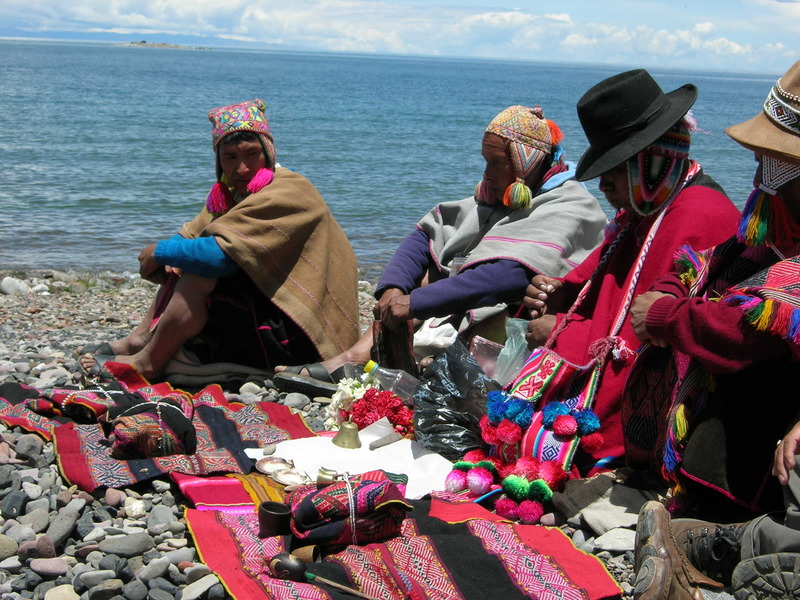 The ceremony would end with our taking our coca leaves to the lake in offering to her. As we had done with air ceremony, we removed our shoes. Much to my chagrin, I was again wearing hose. I might have learned from air ceremony, but the hose were just too much a part of my personal ceremony for getting myself together that I hadn’t given it much thought that morning. 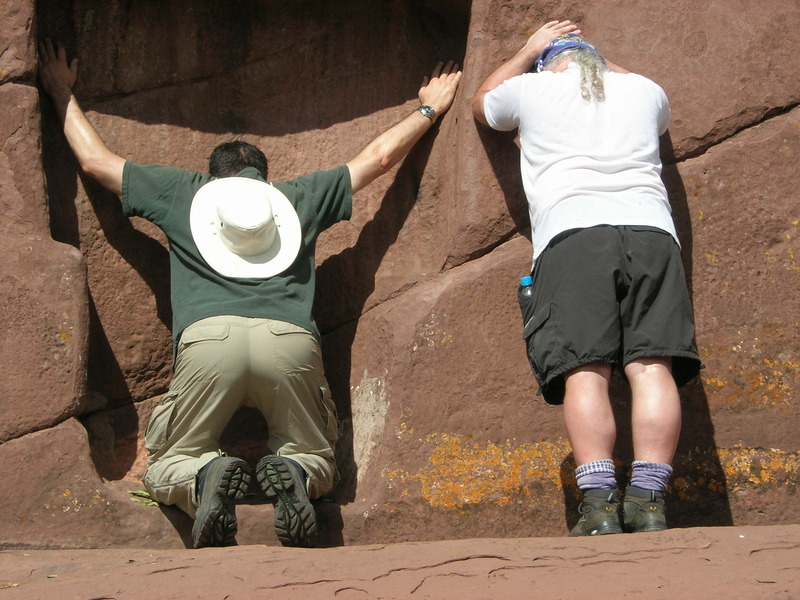 Once again I was going to challenge a perfectly good pair of hose–this time by tromping over the rocky shore to Lake Titicaca. 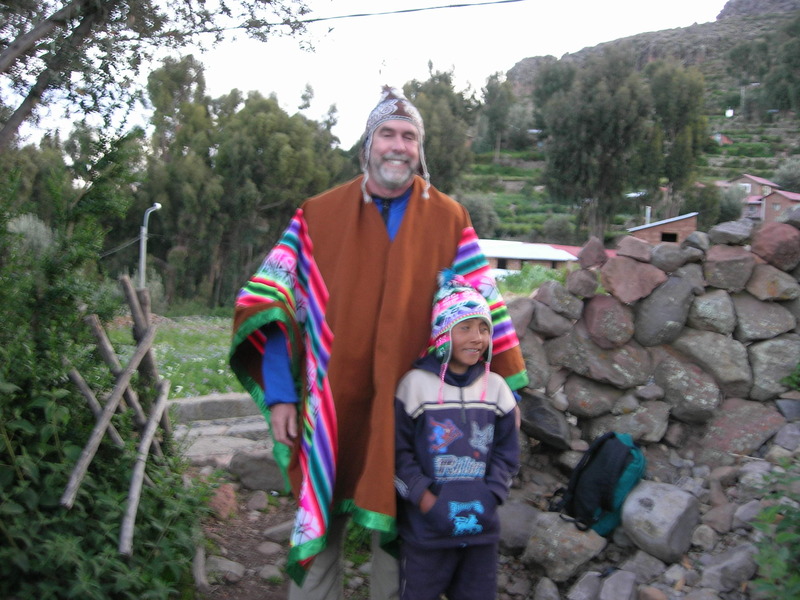 Romualdo conducted beautiful ceremony and, at the end, we each silently took our coca leaves to Lake Titicaca and made offering. It was a tricky scramble over rocks and the occasional broken glass on the beach, but we managed with as much composure as we could muster, teetering along. Once back in the circle, a young woman who had heard the story of the miracle of the pantyhose (which I had shared with a select few), teased me about my hosed feet. Surely, she proposed, I wouldn’t have gotten away without tears and runs this time. I looked at one foot and then the other. Then I lifted me feet so that she (sitting on the opposite side of the circle) could see. No runs. No tears. No holes. The difference between hearing about a place and experiencing it for yourself is akin to the difference between being told there is a God and having a mystical experience. There is no substitute for the experience. 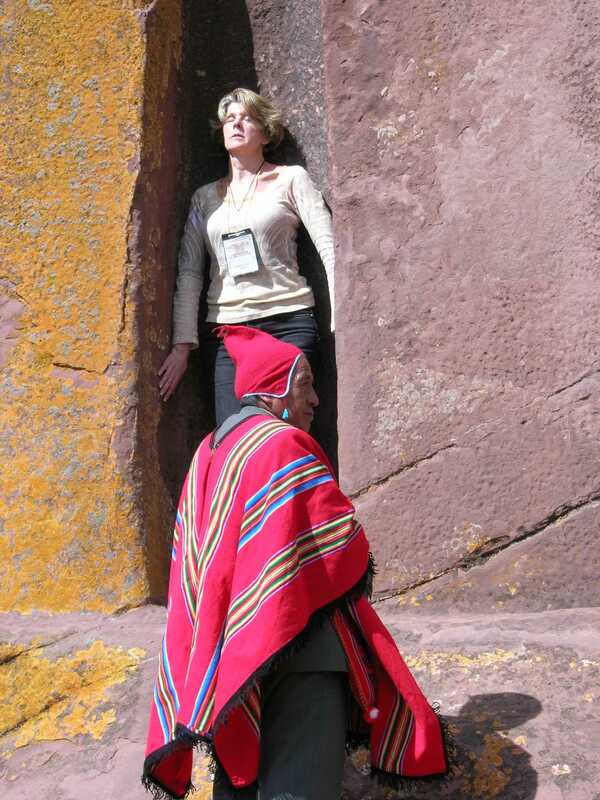 While Jorge Luis Delgado had written about and spoken of his rediscovery of a site that had come to be known as the Aramu Muru Doorway, I was keen to visit the place myself and had that opportunity the day following the Cutimbo air ceremony. Many years earlier, Jorge Luis had come upon the place, which was not far from a main highway, but which had seemingly gone unnoticed for a long time. He had been following a ley line down the valley in which the site sits and upon approaching, realized that it was special. The area was comprised of a large sandstone wall with a door-like indentation in it. Jorge asked permission of the place’s spirit guardian before approaching the “doorway” that he suspected was a portal to another dimension. What he experienced when he connected with the doorway was a flurry of visions, one of which was a vision of Aramu Muru passing through the doorway into another dimension. Some years later, Jorge Luis began taking tours to the site and when a foreign journalist interviewed him about the place, he told the journalist about his experience there. The journalist published the story, proclaiming that Jorge Luis had rediscovered the ancient Aramu Muru doorway, and the name stuck. Not only did the name stick, the place became somewhat famous. But who was Aramu Muru, anyway? That depends on who you talk to. 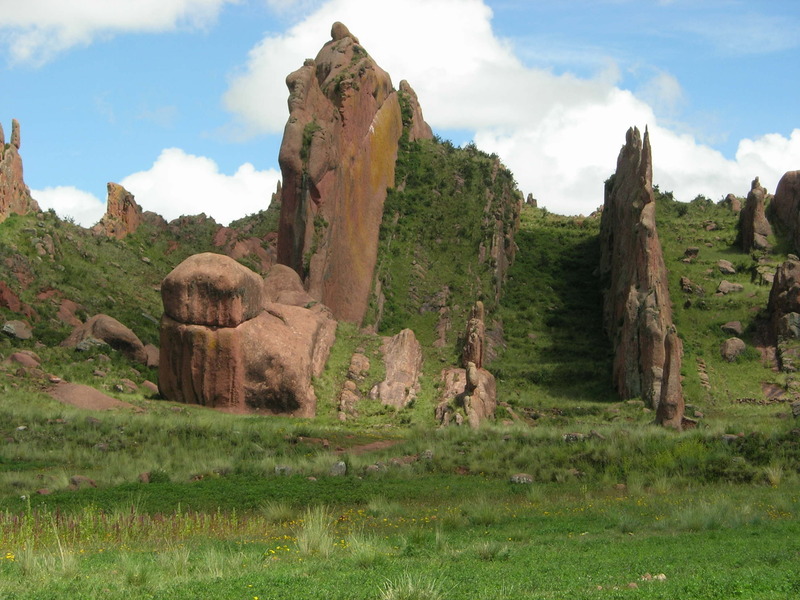 Some legends suggest that Aramu Muru was the first “priest/king” of the Incas, also known as Manco Kapac. It is said that he is the one who took the Solar Disc that had been hanging in the Sun Temple in Cusco and brought it to Lake Titicaca. The Solar Disc was believed to have originated in Lemuria and by bringing it to Peru, the Brotherhood of the Seven Rays (essentially, a group of Ascended Masters) was, in essence, establishing a presence there—a presence intended to foster brotherhood, service, and relationship with Spirit. 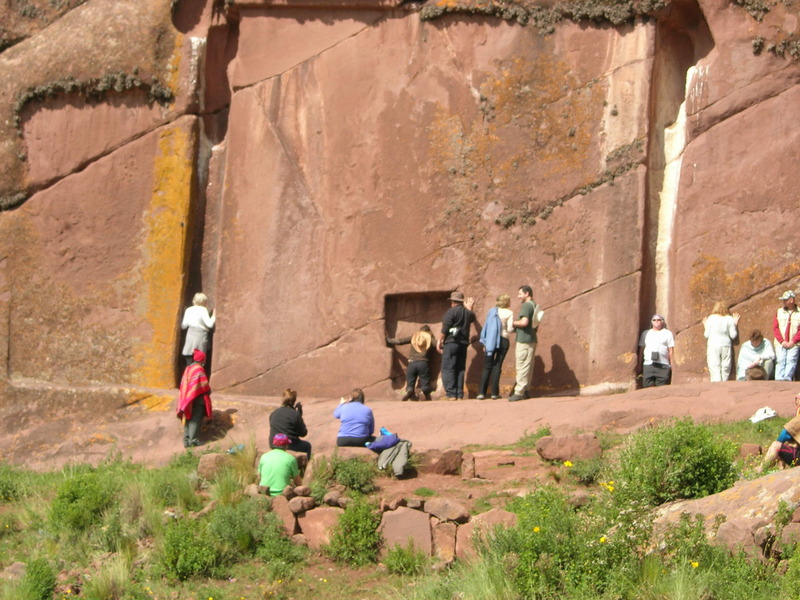 While visiting the Aramu Muru doorway would be a worthwhile endeavor at any time, it seemed particularly appropriate on February 13, 2010—one day before the Solar Disc activation ceremony was to take place. 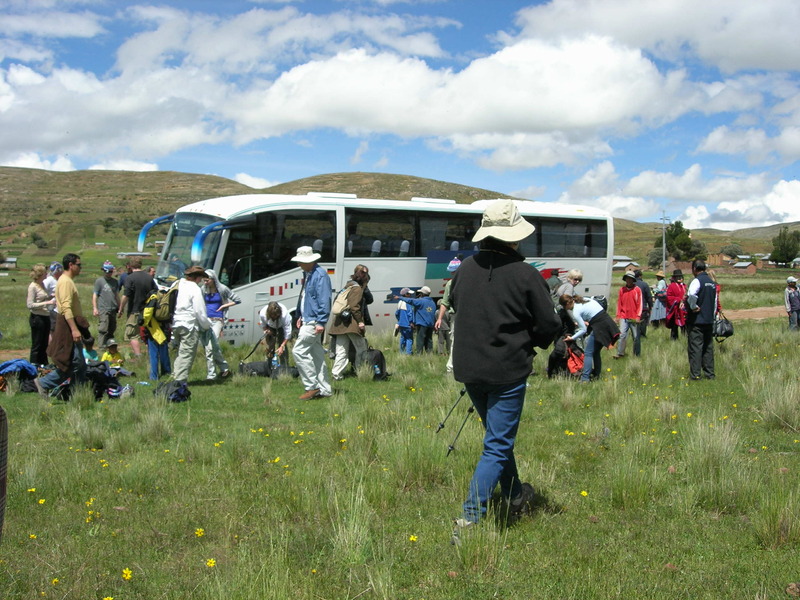 In fact, we were visiting the site while making our way to the dock where we would catch our boat to Amantani Island. There was symmetry to our going to the doorway at this time. It is thought that Lord Aramu Muru left the earthly realm by passing through a portal, disappearing into another realm—as Jorge Luis had seen in his vision—and we were about to continue his work by activating the Solar Disc. The site is an impressive one. The doorway and two channels on either side of it are in the midst of a large stone wall. The stone is pinkish in color, reminiscent of our red rock in Colorado. The doorway itself is a bit wider and a bit shorter than what we might think of as a standard door and is indented. No, there are no hinges and no doorknob, nor is there no way to “open” the “door” using standard, physical methods. 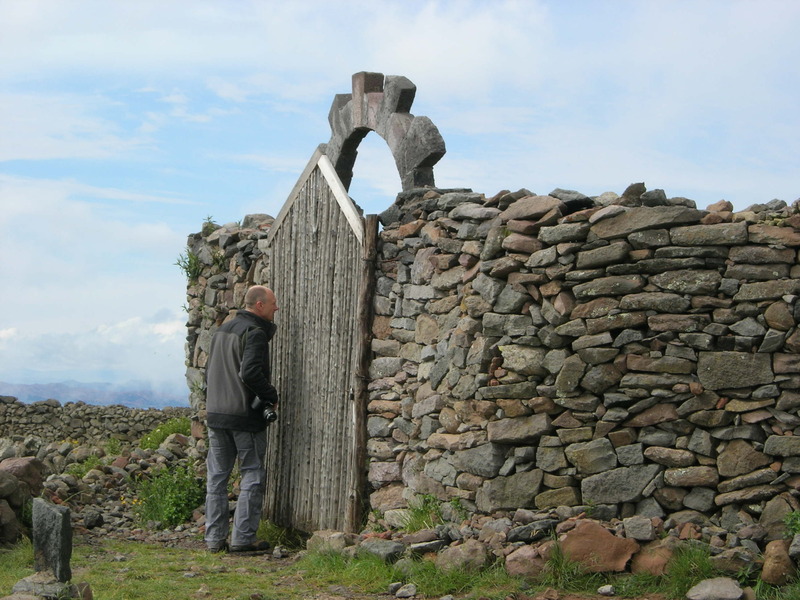 The door is wider at the top than the bottom with a small ledge on either side that can be used to rest one’s hands while kneeling in front of it. There is also a small, round indentation that some have suggested might be the place where Aramu Muru placed the Solar Disc to “open” the door. Jorge Luis has pointed out that this opening is more or less aligned with the third eye (depending a bit on one’s height) for those kneeling at the doorway. The channels on either side of the doorway are thought by some to balance the masculine and feminine energies. Jorge Luis noted, during his first experience with them, that they seemed to be energy vortexes, one spinning clockwise and the other counterclockwise. As our group approached the doorway, we spontaneously formed a line, each person stopping to position him or herself in the channel to the right of the doorway while waiting for a turn to experience the doorway, itself. My experience of the channel was one of energy, which I felt coursing through me as I positioned myself snuggly within it. Just leaning against the channel stone sent vibration radiating through my body. Once at the doorway, I knelt and placed my forehead against the rock. And as I did, I felt the doorway thin and then dissolve, being replaced by an energetic portal. I passed through this portal and, once inside, saw three tunnels—one straight ahead and the others to my right and left. Saint Germain (an Ascended Master and one of my personal guides, sitting on a council of twelve I often find myself before during meditation) appeared before me. He was delighted to find me there. He told me it was not yet time for me to pass down any of the tunnels, but assured me that, having found myself before them, I would be assisted by him in traveling down them during shamanic journey, dreams, and at other times when I was in an appropriate state to do so. I came to understand that the first tunnel—the one straight ahead—led out into the cosmos and, from there, to many places. The tunnel to the right led (via tunnels that forked from it) to Mount Shasta, Amantani Island, Machu Picchu, and numerous other places that are connected energetically. The tunnel to the left led to Lemuria, which now seems to be in another dimension. At some point, I looked up and realized that there was a column of light piercing the space and branching into two other columns, thereby forming a v-shape over the area, connecting with the tunnels. I was comfortable in this place with Saint Germain and didn’t really want to leave, although I did want to explore the tunnels. Still, some part of me knew that others were waiting on the other side of the doorway, back where my body was still connected to the stone wall. They wanted a chance to experience the doorway, too. I knew I needed to return. I also knew that now that I had been on the other side of the doorway, I could energetically return if I wished to do so. Once back outside, I stood up and realized that I was only barely in my body and still very much in an altered state of consciousness. My entire body was vibrating and I could hardly move. I knew that it was pointless—not to mention unnecessary and maybe even counterproductive—to try to make my way to the second channel, so I did not even attempt it. One of the Q’ero shamans helped me down and I sat for a time, collecting myself a bit. Then I wandered the area around the doorway with one foot in alternate reality while the other was back on earth. I couldn’t talk, nor did I have any desire, really, to connect with anyone else. I was vibrating at a different frequency than usual and wanted to stay with it for a time. It is said that some disappear through that doorway. I hadn’t disappeared, but I’d been through it and I felt energetically aligned with the work to come.